Veneered boards are a solid hardwood alternative with a wide range of uses. Veneered boards are suitable for projects ranging from furniture manufacture, shop fittings, interior fittings and wall panelling.With creative slicing and jointing techniques, veneered boards offer diverse applications. 1. They are stable hence not subjected to warping or splitting when bent. 2. Veneer boards are made by glueing together thin layers of wood; therefore, they have additional strength compared to natural wood. 3. They have a smooth finish that shows off the natural beauty of wood. 1. Use a backing board to secure the workbench. This will ensure there will be no damage to the workbench surface. 2. Hold the board in place. Then choose a cutline and mark both sides lightly using a marker or knife. Remember it is vital to cut against the grain of the wood. Also, cut the veneer from the edges on both sides towards the centre. 3. Next, use the saw blade to cut a quarter inch into the surface on one side. This helps create a clean edge on one side while preventing a tear. 4. Raise the blade’s cut depth such that the gullets are one inch above the surface. Cut the upper side; be careful due to the kickback as the blade is way higher. Unlike crosscutting, in ripping one doesn’t have to cut from the edges towards the centre. The edge won’t split while ripping. The biggest task while ripping is keeping the saw from pulling away from the straight line edge. Watch out for soft areas and hard areas that may cause the saw to skip over the edge. A router is likely to cut the board with a smoother finish. When utilising the router, it is safer to first cut out a slightly larger veneer board than your estimated requirement. Next, while using the router trim the board to your preferred correct size that you require. For a straight line, it is advisable to use a jig or a router table for a perfect cut. 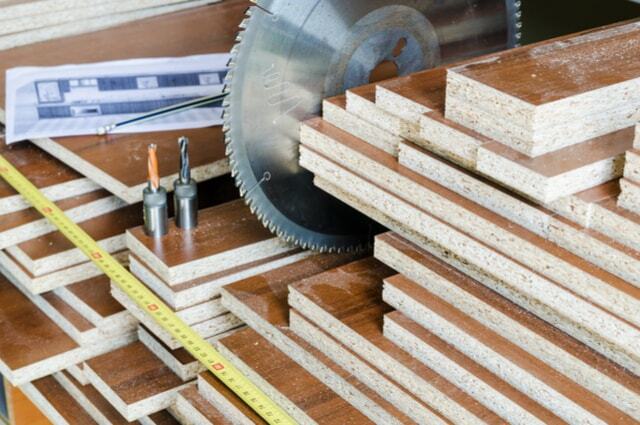 Theos Timber is the ideal provider of veneered medium density fibre boards. We are a Manchester based wholesaler who takes pride in providing quality products and services at customer friendly prices. Theo’s provides a wide range of products and services to suit all your projects. We would love to add you to the list of our happy clients. Contact us today for bespoke timber solutions. What is Flexible MDF Used For?